Staff were fantastic; when we arrived the air-conditioning in our unit wasn't working and they promptly moved us to a bigger apartment while they got the aircon fixed. Nothing was a problem. The property was modern and clean. The swimming pool was great for the kids. Excellent parking facilities for a rental car. Rooms are fully equipped with kitchen, guite new. Good location very quite at night. Dear All, I fully recommend to book this accomondation. It was really nice, modern frankly speaking - perfect. The bungalow was cleanded every two days. That was more than we expected. Our landlord was very friendly. Everything you need you will find in Bungalow BE Eleven at Lagada Resort. Definitly we will come back. Schöne ruhige Anlage mit einem schönen Apartment mit Blick aufs Meer. Trotz der zu kleinen Matraze, war es ein schön eingerichtets Apartment, welches auch regelmässifg sauber gemacht wurde. Der Ort und die Anlage sind sehr ruhig und für erholsame Tage geeignet. Die Rezeption bzw. das Personal ist sehr hilfsbereit. Es waren fünf schöne Tage und ich würde es wieder buchen. Περάσαμε παρά πολύ ωραία, το apartment που μείναμε ήταν απίστευτο, άνετο μια Κ είμαστε 4 άτομα με ωραία θέα Κ αρκετή ησυχία. Η εξυπηρέτηση από την Αρετή Κ τον Αντώνη ήταν κάτι παραπάνω από άψογη με φιλική διάθεση σαν να γνωριζόμαστε από πριν. Ελπίζω Κ του χρόνου να καταφέρουμε να πάμε. Тишина и ощущение уединённости, практически не сталкиваешься с другими постряльцами, хорошая звукоизоляция, отличные бассейны, в которых всегда можно поплавать, не натыкаясь на играющих детей и т.д., собственная крыша- вечером здорово смотреть на звезды (днём находиться там нереально жарко), прекрасно оборудованная кухня-есть и духовка и посудомойка, красивая зелёная территория, прекрасный просторный балкон с видом на море, кондиционер в каждой комнате. 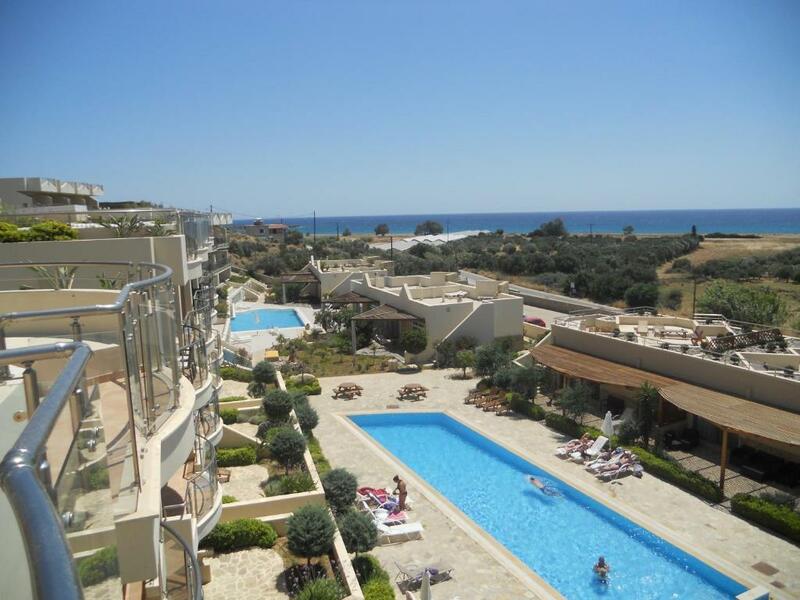 Lock in a great price for Lagada Resort – rated 8.7 by recent guests! Located in Makry Gialos, Lagada Resort provides accommodations with a seating area and a kitchen. Complimentary WiFi is provided. All units are equipped with a dishwasher, oven, a coffee machine, a microwave and electric tea pot. A terrace with mountain views is offered in all units. The condo hotel has an outdoor pool. A bicycle rental service is available at Lagada Resort, while snorkeling can be enjoyed nearby. Ierapetra is 18 miles from the accommodation. The nearest airport is Nikos Kazantzakis Airport, 73 miles from Lagada Resort. When would you like to stay at Lagada Resort? This bungalow has a dishwasher, fireplace and balcony. 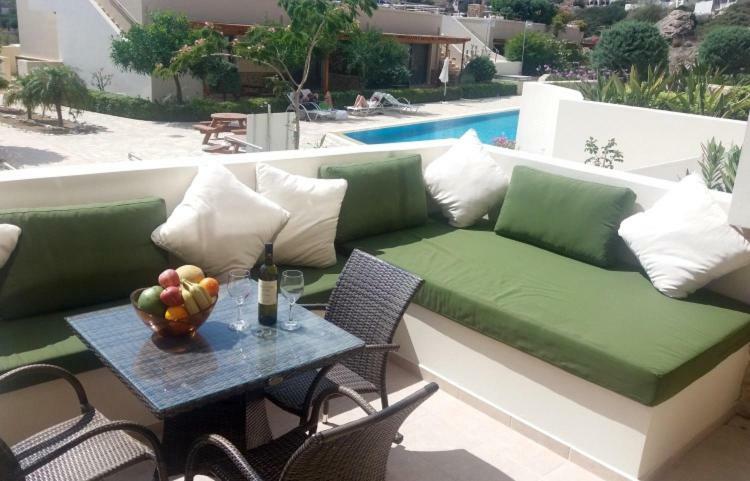 Overlooking the lush garden, this apartment features a oven, air conditioning and DVD player. This apartment has a oven, satellite TV and microwave. This apartment features air conditioning, microwave and view. This apartment features a balcony, microwave and patio. This apartment has a patio, microwave and balcony. This apartment has a oven, DVD player and patio. This apartment features a oven, microwave and patio. This apartment has a balcony, microwave and dishwasher. This apartment features a microwave, balcony and DVD player. This apartment has air conditioning, microwave and balcony. This apartment has air conditioning, balcony and patio. This apartment has a patio, oven and microwave. 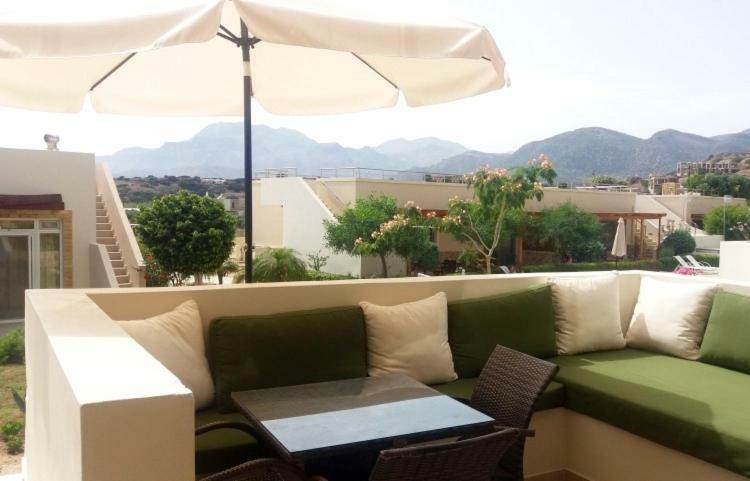 The Resort is located in the South East of Crete, on the outskirts of the village of Makry Gialos and within two minutes walk from Lagada beach. The Resort has been in operation since 2010 and the newest apartments were completed in 2014. Ιt consists of 67 fully furnished apartments situated in landscaped gardens, set in a terraced formation to provide the best views of the Cretan sea and mountains. The accommodation capacity varies from 2 to 7 people depending on the type of property. Within the grounds of the Resort you will find two swimming pools, one with a waterfall and the other with a tranquility pool, surrounded with patios and sun beds! Moreover, this Resort is ideal if you want to host a party! 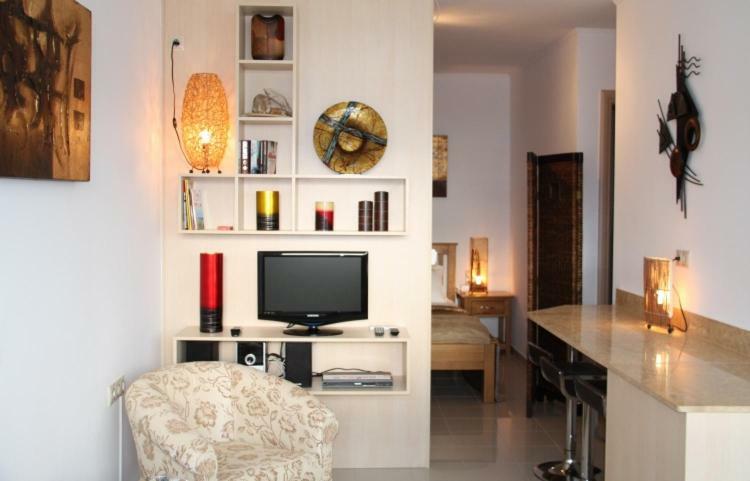 It combines the convenience of proximity to family and friends with the privacy provided by separate accommodation. Feel free to contact the management team in order to arrange your stay depending on your needs and budget. Crete apartments holiday is run by and on behalf of the owners of properties at Bayview to manage the resort. 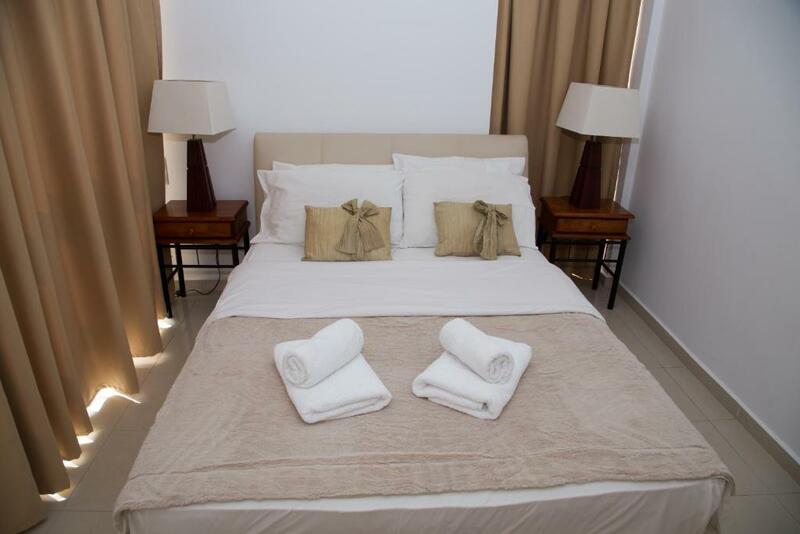 Our mission is to ensure that guests have a fantastic and enjoyable experience at Bayview resort in Makrys Gialos. House Rules Lagada Resort takes special requests – add in the next step! Lagada Resort accepts these cards and reserves the right to temporarily hold an amount prior to arrival. Please inform Lagada Resort of your expected arrival time in advance. You can use the Special Requests box when booking, or contact the property directly using the contact details in your confirmation. Wifi in the apartment was non-existent, and even in the café it was hit and miss. Other than that, everything was great. Wi-fi very weak, cockroaches coming out of the shower if you don't use an insect killer. The air condition devices are placed at the balconies, so it's a bit noisy when your neighbor's or your's is operating. The wifi connection is terrible. Rooms are equipped in a very strange way. You cannot simply watch TV because sofa is turn out from Tv, so the only you can do is listening to TV . or watch tv standing.. Please be aware There is no air conditioning in the bedroom!!! In our room we had a sun from 6.00 in the morning and we couldn't breath, it was a middle of august and very hot. So we turned on air condition in the other room and opened all doors, but it was not helpful. In the meantime my mother who stayed in the other room got cold! To have a dish washing machine in each room and to not have air conditioning! How weird is that!!??? And the is no wifi! There is, but it doesn't work..for wifi you need to go to pool area or to cafe. This is very uncomfortable. No direct access to a beach. So if you don't have a car this hotel is not for you. We staid for one week and had cleaning only once! For the second time we asked on the reception to clean the room. We were tolled that cleaning service is every second day, but it doesn't. Moreover, we put a garbage outside the room (building), and it was there smelling 3 days! Overall the place is good, but lack of basic needs like air condition in the bedroom, wifi, and direct access to a beach in a walking distance could spoil your holidays.. The WiFi of the hotel was unbearable and we couldn't depend on it even for the least of connectivity. There are many wasps attracted around the pools and it's an accident awaiting to happen, especially if anyone is allergic to them. The hotel amenities do not seem particularly friendly to pushchairs and wheelchairs. There were only 2-3 sets of umbrellas and sunbeds available around the pool and most of them were usually occupied by other guests.